This historic wine estate was founded in Traben Trarbach in the Mosel in 1789. 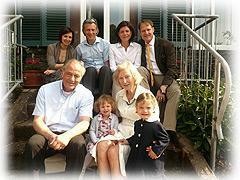 Currently the estate is run by father and team Ulrich's and Patrick Langguth. Patrick is also the managing director of their export business known as Mo-Rhe-Na. The Langguth Mosel wines are produced on 4.5 ha of slate rich soils on steep vineyard parcels on prime site locations in Traben, Piesport, and Enkirch. They produce elegantly styled, crisp Rieslings that are raised and bottled in a very traditional style in the ancient cellars in Enkirch. All of their vineyards are hand harvested, fermented in stainless steel and are exceptional values.